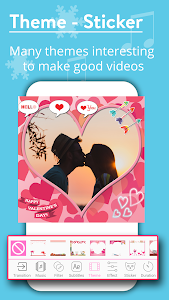 Video and music video application - User-friendly Video Slideshow application is the best video to make video, and make video from photos and music very easy. This is a special application that supports over 100 video transition effects . With Music Video Slideshow - making video with photos and music is free , which will help you create creativity, edit video, create video, create short videos with your own pictures and music favorite. All in our video editor application. Want to make love videos, you want to make videos to express love, or for the people you love ... 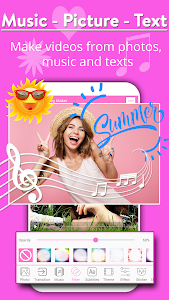 It's easy with the application, with just a few select, edit, choose music, beautiful photo frame ... You have been able to create videos with awesome photos and music. Not only that, it also expresses your creativity and class.
? Export video with the highest quality FULL HD! Note: The video is saved at "MusicVideoMarker365 /"
"Video Animated Transitions" - Video SlideShow Maker is a very interesting application, when you need to make easy video that professional, this is the application that helps you do it. 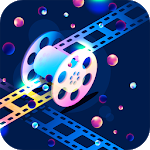 If you love the application Create Video Essentials - Create Videos from Music and Photos do not forget to leave us 5 ☆ ☆ ☆ ☆ ☆ accompanied by good reviews so we have the motivation to further improve the application. If you have any questions you can contact us [email protected] will be answered all your questions. Thank you very much. Have fun creating your videos. 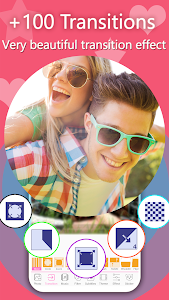 Similar to "Video Slideshow Maker - Video Maker With Music"